Hey Lexicans! Today I will be reviewing the AMAZING book: Girl, Missing which was recommended to me by one of my best friends (EC)! I had heard SO much about the book, I just had to give it a read. Lauren has never really looked into her past, into her real parents, until she assigned that typical Who Am I? essay project at school. After all, she is 15 - she really should know about her real parents. And after 'Mum' and 'Dad' refuse to let her know, Lauren takes matters into her own hands. Flying out to Boston with her friend Jam, she discovers the possibility that she could have been kidnapped, and now in an illegal adoption. She can't even trust her own 'parents?'. I'd heard about this book EVERYWHERE: my best friend recommended it, I found it on a reading list and I'd seen a couple of others bloggers review it. And even Amazon agreed, putting it in my Recommended For You section. There was no escaping this book, I had to buy it. And I can't describe how pleased I am that I did. 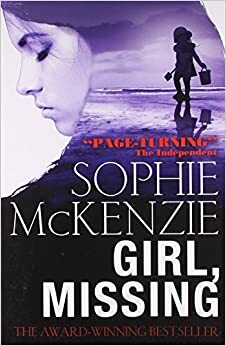 Girl, Missing is now one of my favourite books: compelling and gripping right from the start - I finished it in two days, and I'm buying the sequels right........ now! I can see why everybody has been reading this book - so now, of course, I'm recommending it to you! Oh my gosh! That's so weird - I'm currently reading girl missing as well! It is ABSOLUTELY PHENOMONAL! Probably my favourite book! Oh wow - what a coincidence! ;) YES IT SERIOUSLY IS THE BEST! Sorry about that as well, I wasn't meant to sound harsh, especially over a minor incident, but she's done it before with Noor! Lexie don't worry about it! I totally understand! This sounds like a cool book I will totally check it out. Oh I love the sound of that book! I'll have to see if I can get it!